Consumption of dietary soluble fibers has been associated with health benefits such as reduced lipid levels, lower blood pressure, improved blood glucose control, weight loss, improved immune function, and reduced inflammation. Many of these health benefits relate to a reduced risk of developing cardiovascular disease. 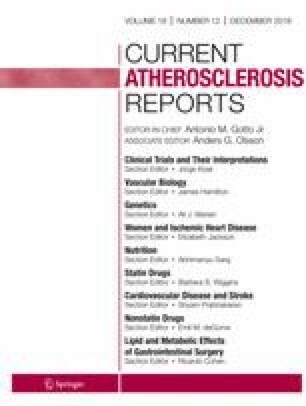 In this paper, we have reviewed recent studies on the hypocholesterolemic effects of dietary soluble fibers as well as fiber-rich foods. Findings include the following: (a) consumption of water-soluble, viscous-forming fibers can reduce total and low-density lipoprotein cholesterol levels by about 5–10 %; (b) minimal changes of high-density lipoprotein cholesterol or triglyceride levels were observed; (c) cholesterol-lowering properties of soluble fibers depend on their physical and chemical properties; and (d) medium to high molecular weight fibers are more effective in reducing lipid levels. Hypocholesterolemic benefits were also observed with some fiber-rich foods, such as whole oats, whole barley, legumes, peas, beans, flax seeds, apples, and citrus foods. This work was supported by UC Davis Clinical and Translational Center (CTSC) base operating grant (#TR000002) and Building Interdisciplinary Research Careers in Women’s Health/K12 training grant (#NIH 2K12HD051958). Code of Federal Regulations. Title 21--Food and Drugs. Chapter I--Food and Drug Administration. Department of Health and Human Services. Subchapter B--Food for Human Consumption. Title 21, Volume 2; Revised as of April 1, 2015. [http://www.accessdata.fda.gov/scripts/cdrh/cfdocs/cfcfr/cfrsearch.cfm?fr=101.81].